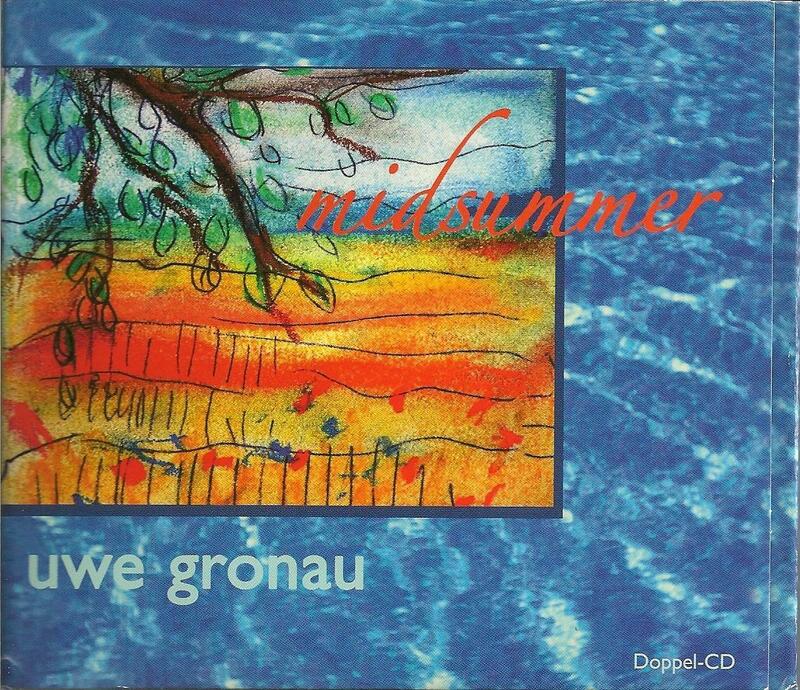 Gronau has released numerous albums in Europe over the past several decades but his newest, Midsummer, is one of the few to make it across the Atlantic to American shores. Primarily instrumental, Gronau's music encompasses elements of jazz, pop, ambient, techno, classical and new age. Light, often pretty, the 35 tracks on Midsummer suffer at times from a blandness that characterizes muzak in its commercialized sense. Still, there are desserts here to enjoy for the connoisseur of elevator music. For example, the more rhythmic Cluster-like pieces (particularly Steps in the Snow, Royal Road and Evening Sky) have a propulsive drive that powers Gronau's creamy, crystalline lead synth and piano runs. Catchy, melodic and hook-ridden, these are perhaps the album's best tracks. Gronau's "softer" side has perhaps a bit more Vangelis and Jarre than is desirable. Many of these tracks consist of piano, synth and occasional electronic percussion. Several of these construct atmospheres for dreaming and altered states. Especially effective in this vein are Heaven of Falling Stars and Brave Heart. Gronau also attempts a few tracks that beg to be classified as progressive rock but these are easily the weakest songs on the album, lacking sufficient intellectual pomp and circumstance, not to mention technical flash or virtuosic pretension. The solo piano pieces are quite nicely done, some possessing an aching romanticism that would no doubt make Chopin blush. Ultimately, Gronau's selling point is his sincerity and obvious enthusiasm for the process of creating sound out of silence that justifies his music.